← Aaaaannnnddd….. He’s Done! Suyts Calls It Right With Beck!!!! Shock Breaking News!!!!! 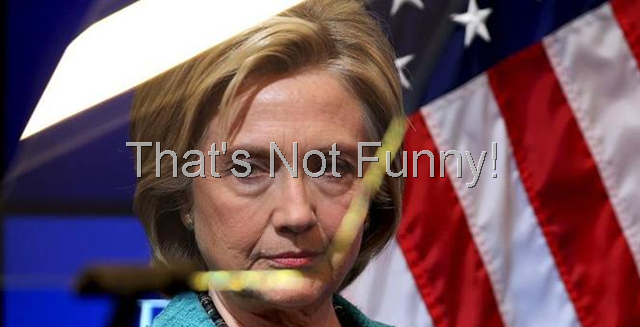 Hillary Has 5 Month Period Where She Only Had Personal Emails While Sec. Of State!!!!!!! Well, Hillary told us that she turned over all of her emails, except the ones which were personal in nature, while she was Sec. of State. So, clearly, as Sec. of State, she went 5 months without sending any emails or receiving emails as Sec. of State. Hmm: Five Month ‘Gap’ in Hillary Emails? It may be time to resurrect the Nixon comparisons, which were recently raised by someone with unique expertise on such matters. Via Judicial Watch, which has done yeoman’s work using FOIA and other transparency tools to pry information out of the opaque Obama administration. What’s this about? 1 Response to Shock Breaking News!!!!! Hillary Has 5 Month Period Where She Only Had Personal Emails While Sec. Of State!!!!!!! I am pleased to report that a broad-based group has formed to try to understand the implications of lock-step, politically-correct, worldwide, Orwellian thought control. I urge you to join.